These are incredibly delicious and very easy to make. The haloumi makes them quite salty so I just serve them with a squeeze of lemon, no extra sauces or dips needed! 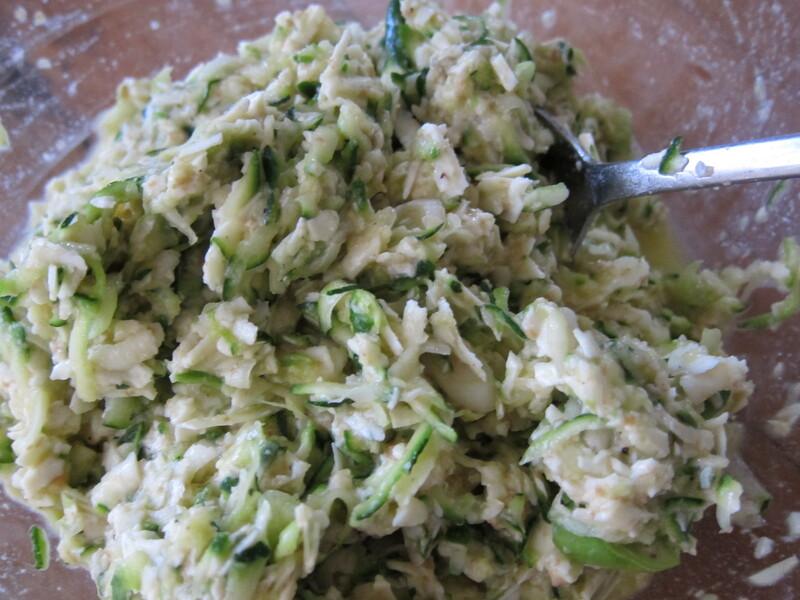 Coarsely grate 3 zucchini and squeeze out all the moisture you can manage. Ideally, leave it to drain in a colander for a few hours. 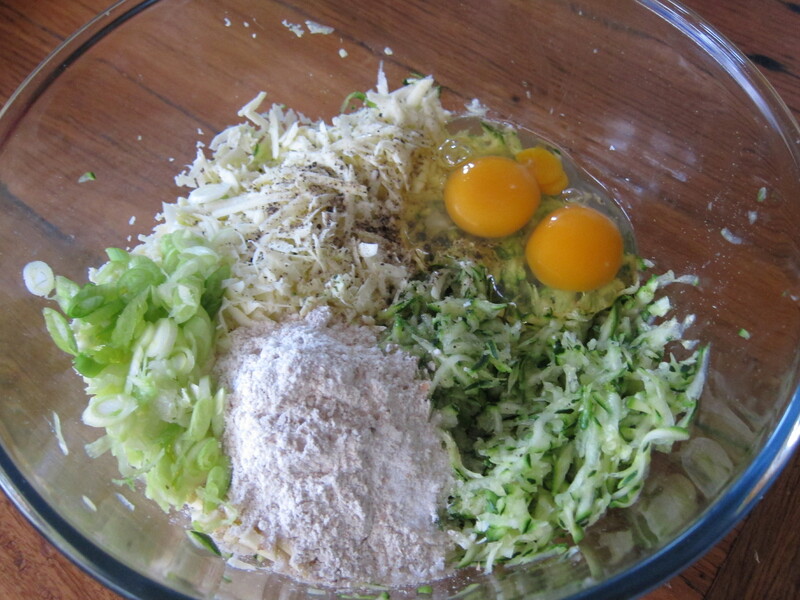 Mix together with 300g coarsely grated haloumi, 3 eggs, 3 tbsp wholemeal flour (can be omitted if need be), 3 thinly sliced spring onions and some freshly ground pepper (but no salt)! Fry in small spoonfuls in olive oil for a few minutes each side, until golden and firm. Serve warm or at room temperature with a squeeze of lemon. Yum. 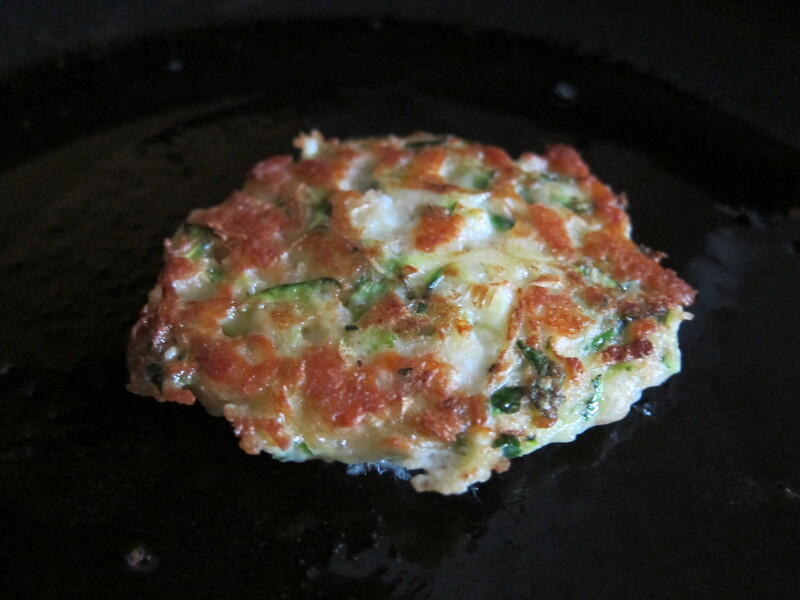 I’ve been making lots of corn fritters lately but these look worth trying out too. I just adore corn fritters – zucchini is far lower down on the GI scale though so I try to eat these more often, being conscious of my blood sugars as I am. The combination of zucchini and haloumi is pretty special too!